So you want to be a superhero? One way to do that is to pursue an engineering degree at UC Davis. Here are five qualifications to see if you have what it takes. Every superhero has a backstory. What’s yours? Engineers come from diverse backgrounds to solve different problems. Are you interested in flying? Aerospace engineering majors study the science and efficiency of aircrafts. More of a computer whiz? Computer science and engineering majors build computer systems from video games to monitoring equipment. Geek out over medical shows? Work from biomedical engineering majors range from medical imaging to regenerative science. Engineering is interdisciplinary, drawing from other fields for its research. 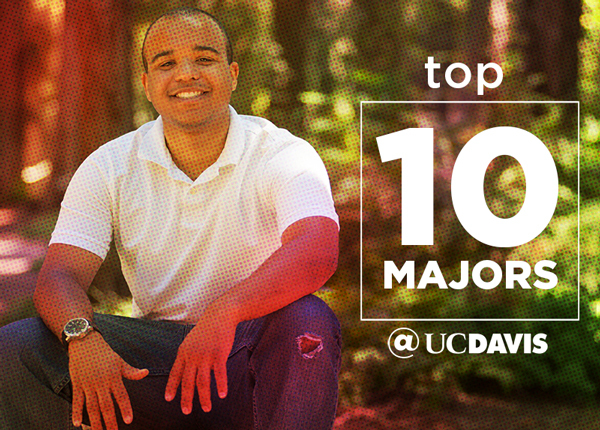 At UC Davis, you can choose from 11 engineering majors that best fit your own backstory. Training is a big part of any great hero’s journey. Engineers use math, physics, chemistry and biology to solve real-world problems. The College of Engineering offers multiple first- and second-year classes to introduce you to the fundamentals. Courses like “Engineering Design” build your communication skills, such as presenting and reporting, while you learn about the design process. You’ll learn how to define problems, do research, build prototypes, design experiments and work in teams. Every superhero team has a super hideout like Avengers Tower or the Hall of Justice. Engineering students have access to state-of-the art labs, gadget-filled workshops like the Engineering Student Design Center or the newly built Coffee Lab. Interested developing a new idea? You can literally build it from scratch at the Engineering Student Startup Center where they’ll also help you get your business off the ground. UC Davis offers plenty of resources to collaborate with other students and give you hands-on experience. For instance, you can join a club or design team and build a concrete canoe or create a strawberry robot. After all the study hours, homework and training, you’ll be ready for your final mission, the annual Engineering Design Showcase. During your senior year, you’ll form a team, identify a problem and engineer a solution. Your final projects are presented to industry judges and showcased alongside other projects in this grand event. You don’t have to be bitten by a radioactive spider to save the world. Engineers study hard to learn about the world so they can address its most dire issues. If you’re curious, hardworking, collaborative and want to help others, then you’re meant to be a superhero. You’re meant to be an engineer. Lauren Mendoza is the undergraduate and graduate program coordinator in the Department of Biological and Agricultural Engineering. She has a bachelor’s in journalism – public relations from San Jose State University and a master’s in education from Mills College.